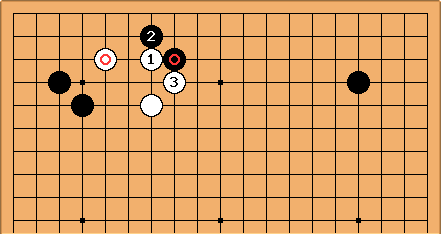 The following is a tesuji from a game, allowing to take sente. See getting sente for a general treatment. 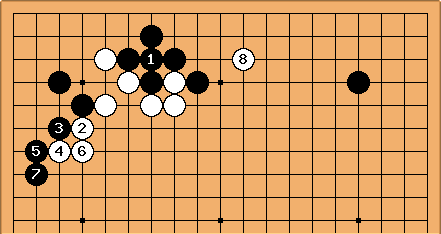 Is it right to say that Black had sente at the start of the sequence? 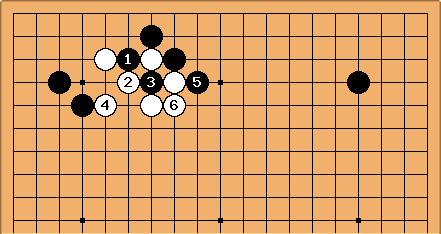 Well, the stone was played as a pincer on , at a time when Black did have sente in the game as a whole. Now Black connects in order to have some shape on the right. White plays the staircase with and , and duly connects solidly with . This takes sente again, and White can attack with . It was a two-stone handicap game; White's play is quite typical.